Air conditioning and heating are a year round need. We need air in the summer, and heat in the winter. At some point, your going to have an issue with your HVAC system. Keep these in mind when hiring a Dallas HVAC Repair Service. An HVAC repair professional can help you out by inspecting every single part of your system. Your ducts, filters, coils and blower will be reviewed for cracks, tears and obstructions. This is to help diagnose the problems that might be in your system. Leaks can occur around any HVAC system. In most cases this comes from coolant or water coming out of a tank or other coil system. This can keep your system from being as effective as possible. HVAC repair services can help you out by reviewing such leaks and getting them patched up the right way. This in turn helps you to keep your leaks fixed up so there won’t be any problems with your system not taking in the coolant or other materials you need for it to stay active and healthy. The trays, fans and other materials that can be found outside your HVAC unit next to your home can be obstructed by all sorts of difficult materials. Debris, grass and other items can easily get into your system and keep it from being able to work as well as it should. Clogs can develop in these areas and make it a challenge for your system to be treated the right way and with care. A repair service can help to remove all obstructions and other problems that might get into the system so such threats will be less of a problem. 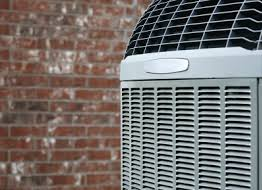 Air filters can influence how the air moves around in a home. Filters have to be cleaned or replaced on a monthly basis to ensure that the air moves well enough and that harmful bacteria will be less likely to flow around in the home. This also helps to keep the system working the right way without worrying about having to add more power to certain spots in your home just to get the air to actually move around as well as it should. Sometimes it is the connection between the thermostat on the rest of the HVAC unit that may end up being a problem. The excess signals that are often sent between the thermostat and the HVAC unit may cause the connections between the two to wear out over time. The best thing to do in this situation is to take a careful look at how the connections between the thermostat and other setups in the unit are linked together to ensure that any problems that might come about are fixed in a timely fashion. These are great parts of HVAC repair procedures that can really work wonders in your system. You must use these repair procedures to ensure your home is capable of taking in the right amount of air at the right conditions based on what you demand out of it. This entry was posted in HVAC Services and tagged air conditioner repair dallas, air conditioning dallas tx, air conditioning repair dallas, HVAC Repair by Whit Kinser. Bookmark the permalink.